A few weeks ago we were up at Glenfall House in Charlton Kings, Cheltenham (GL54 4EP) for their first wedding open day showcasing their Preferred Partner Suppliers of which we are delighted to hold the spot for wedding photography! We met lots of brides and grooms over both the Saturday and the Sunday, yet it was the Sunday when it was super busy with lots of show rounds and one to one chats with clients. 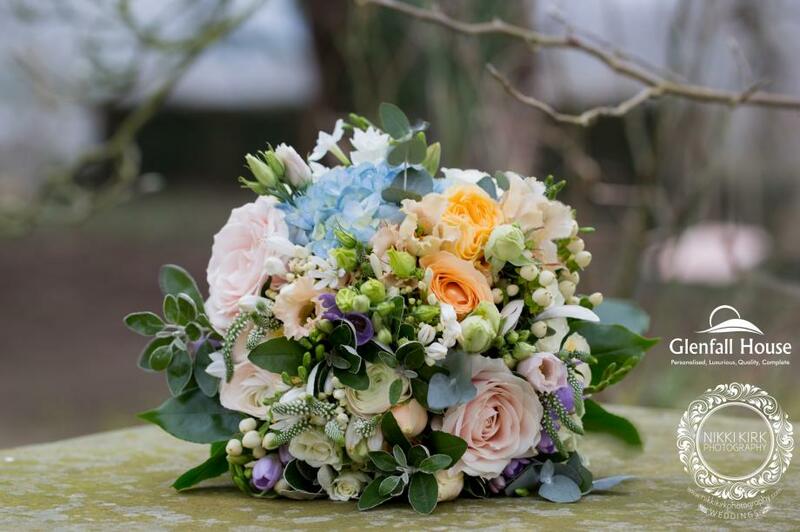 On the Sunday we were delighted to be there with Lilyfee Floral Designs, Julia Sibun Event Planner, Curtis & Co. Cakes, Azure Cars, Napier Catering, and Wedding Days of Cheltenham plus a few more! Glenfall House came to life and really showcased what it can look like on a wedding day. We are absolutely delighted to be the recommended wedding photographer at Glenfall House. We’ve worked with the Team at Glenfall from day one and are so excited to see this stunning Grade II listed Manor House come into its own following the thoughtful restoration of the house and its historic grounds. We know every inch of this unique country house and its secluded gardens; where those secret hidden gems are, how the light falls at different times of the day, every great landscape panorama and every small detail that will help to create your perfect wedding photographs. One of my favourite things about Glenfall House are its gardens, and even on a bitterly cold day there were still plenty of photography opportunities before we headed back inside. This delicate floral crown set with orchids is just one of the floral works of art by Lilyfee, photographed in one of the newly refurbished bedrooms with NKP muse Charlotte. Ready to say ‘I do’, the ceremony room is warm and inviting with views out over the gardens and parkland. And once you’ve made your promises this is were Napier comes in and serves you the best food and drink! I absolutely love their wooden bar! The ballroom was shown off to its best with five different guest table designs and top table design by Lilyfee Floral Design. Clare’s knowledge an expert eye means that she can accommodate your requests according to the size and scale of your wedding day. Bringing in unique styling and personal touches to showcase your wedding day at Glenfall House. And then back out into the gardens where there are many many options to take that perfect photograph which is of course where we come in.